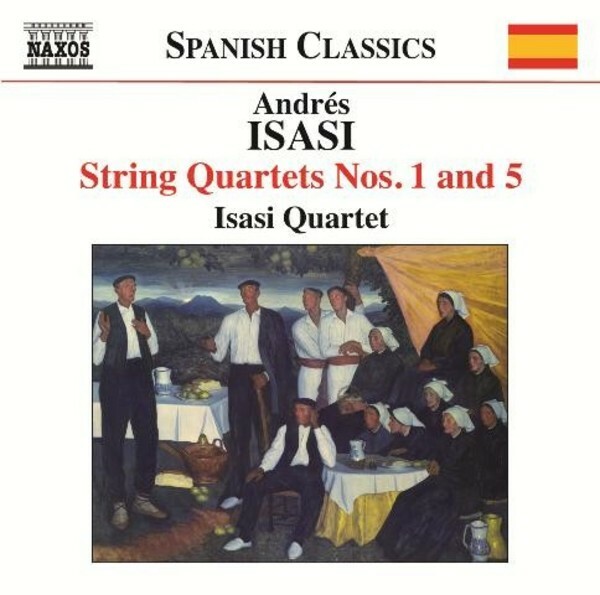 This is the third and final volume of the string quartets of the important but long-neglected Basque composer Andres Isasi. Although initially influenced by Grieg and Dvořak, Isasi studied under Humperdinck in Berlin, where he acquired a love of Germanic culture, reflected in both the Quartets heard on this recording. Much of the thematic material of the Violin Sonata has tangible links to Basque melodies and songs, though there is also an element of Richard Strauss.